The Truth Is Housing Continues to Be a Civil Rights Issue - The Idea Inc.
A part of my purpose is bringing communities together. The notion seems honorable. While it is there has been a lot of projects, initiatives, and clients that have so much potential and yet the system of oppression, capitalism and/or an unwillingness to change, to put it simply, can sometimes hold up progress in a way that you wouldn’t believe. Last July, I was asked to organize large nonprofit organizations, civic leaders and community advocates for a housing initiative for low-income residents in a pretty large city in the US. The truth is most people would think that it was a great opportunity to assist with the housing crisis after all the money is not paid for by tax dollars. It is privately funded. Why wouldn’t you want to be a part of a coalition of organizations that help to make a dent out of the affordable housing crisis happening across this country? I am not a housing expert, but I am an expert at community organizing and large-scale management of projects and events. It is hard to herd cats, to be honest. It can be painstaking and well worth it, but it can also be heartbreaking when you know how the sausage is made. In this case, to bring the organizations together was the easy part. Keeping them together and focused on the mission was where the tough part reared its head because you get to see with your own eyes what can motivate people. As mentioned, this housing property is being self-funded. Now there are a lot of reasons to go against the building of a property in a large municipality. I am the first person to admit it. The reality is if we’re going to continue to build or gentrify which in some ways I am deeply against, we need to also consider those that cannot afford the speed in which housing increases year in and year out. This article is not about vilifying anyone. It is about pointing a finger at the system of capitalism that does not consider those that are not making the same as another and the many variables that go into how that takes place. It includes racism, unconscious capitalism, power structures that leave people out of the conversation and in this case, it is a large municipality that continues to grow, but it’s legislators and residences don’t always consider the people who cannot afford to live in the city. Over the last 9 months, some of those organizations have dropped off because of pressure from there clients and donors. They dropped off because the vocal majority suggests that we don’t need another property in the area and the organization managing the property does not have the expertise to ensure its success. As an aside, the organization that is building the property has brought on a property management company to ensure its success with this low-income housing initiative. There are many variables that go into this, but again as an expert in management, the goal is to manage expectations while also ensuring that the greater mission is accomplished. My goal will be to reach out to additional Community advocates on an ongoing basis to get community buy-in, not just to ensure that the property is built, but to have a holistic approach to the property’s success. Ends do justify the means, but we also have to keep the end goal in mind which is to have this property built so that there is an example for other agencies and companies to follow. My ongoing research includes ensuring some of the myths about low-income housing is knocked down. 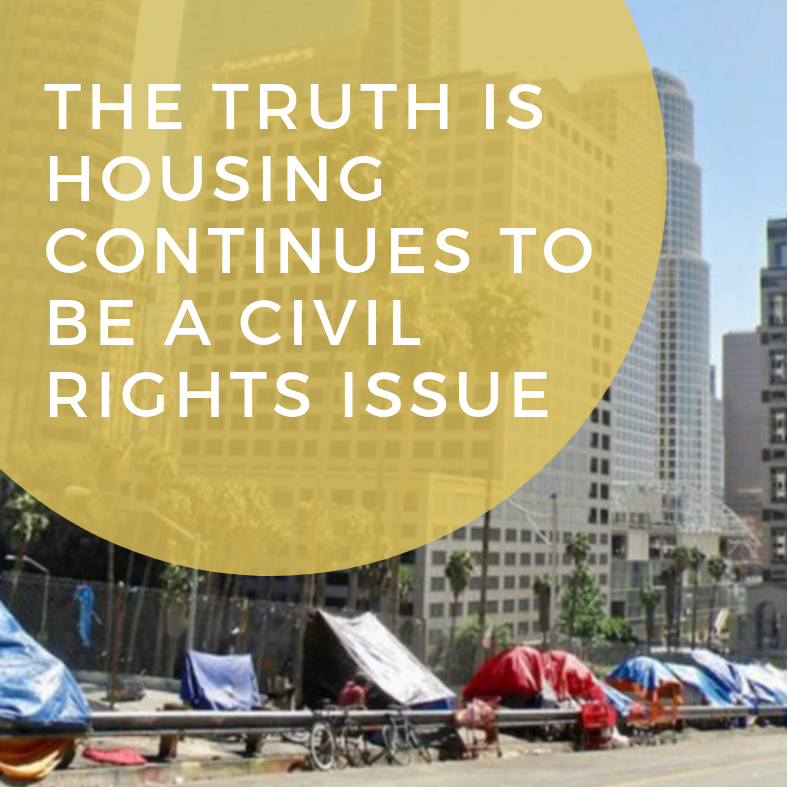 The truth is you have to knock down misinformation with housing because everyone does not want people who require low-income to live in their neighborhood. But then there are logistical issues that need to be addressed. One of those issues is in my opinion legitimate. It is the oversaturation of properties in an area. As I said before, you will not get an argument from me, however when an organization is willing to foot the bill to make even a small dent out of the housing crisis we are in as a nation, why stop it from happening? What is your reason for preventing this property, but turning a blind eye for a market rate development? In the research I have done, having a diverse income bracket in an area actually builds community and increases property value. Strong communities are our passion and if you look closely, it is yours too.